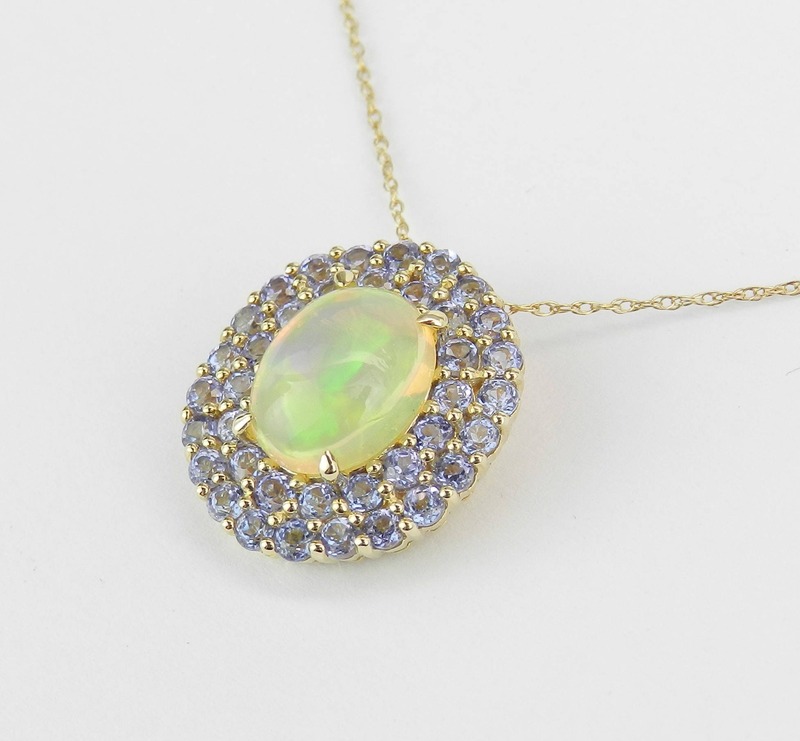 Yellow Gold Opal and Tanzanite Halo Pendant Necklace with Chain. 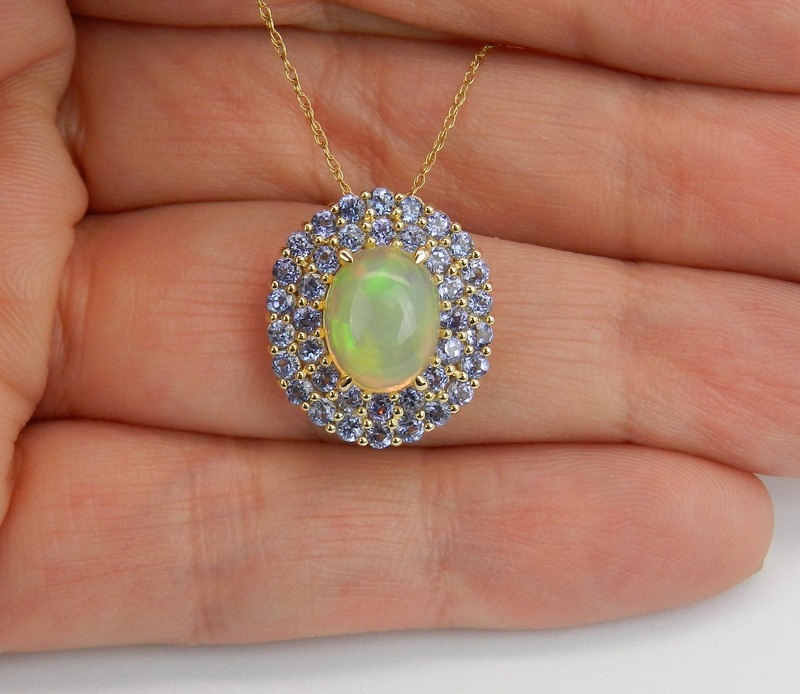 This pendant is set in the center with a natural Oval Opal. 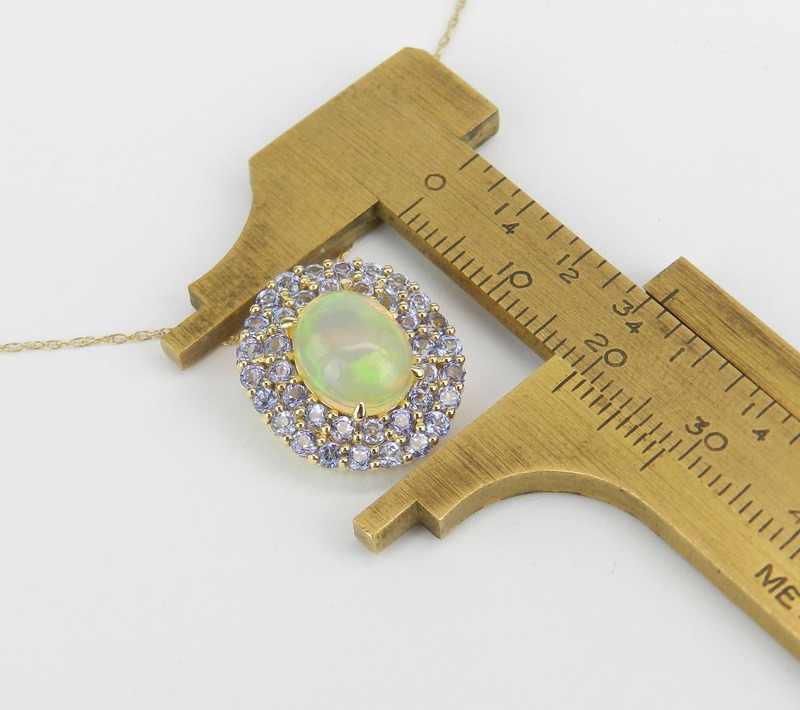 This Opal measures 10 X 8 mm and weighs 1 1/2 carats. 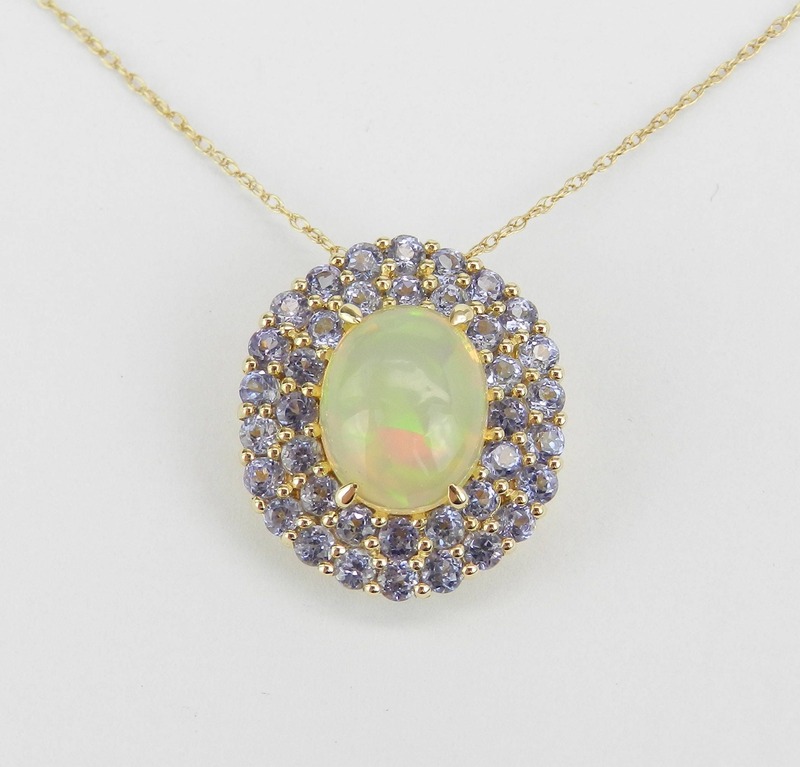 There are thirty-nine genuine Round Tanzanite set in this pendant. These Tanzanite amount to a total weight of 1.65 carats. This pendant is 10KT Yellow Gold, comes with an 18" 10K Yellow Gold chain and together with the chain weighs 3.9 grams. This pendant measures 18 X 16 mm. 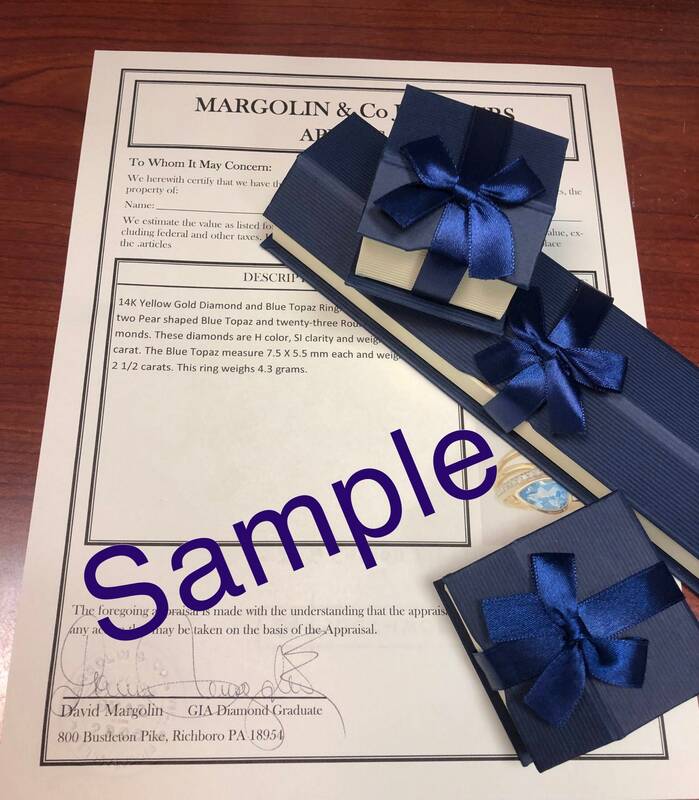 This pendant will be accompanied by an appraisal by a GIA Certified Diamond Grader with the retail replacement value of $1,395.00. 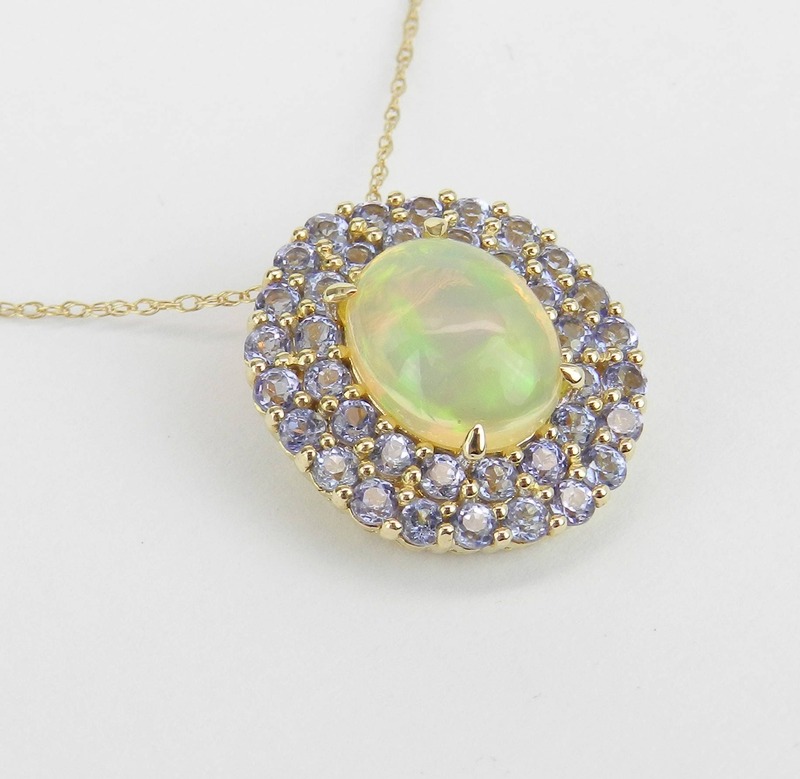 I will ship this pendant promptly in a beautiful gift box.